Hugh Jackman leaves Victorian London to prove the existence of Bigfoot in Missing Link, AKA The Greatest Abominable Snowman. The missing link in this case (apart from the dearth of decent gags) is Zach Galifianakis’ Sasquatch, who may be Bigfoot Yeti’s not clever. Zoe Saldana, Stephen Fry and Emma Thompson round out the charming voice cast, producing an amiable family film and an improvement on recent stop-motion fare like Isle of Dogs and Early Man. Laika studio delivers a warm, welcoming animation style with particularly inviting colours and textures, as well as nice attention to detail in the Victorian setting. And while director Chris Butler can’t match the weird wonder of his first picture ParaNorman, his tactile approach yields a gently pleasing production. The weakest link remains the humour, which occasionally flourishes but lies dormant for much of the movie. The story is straightforward and maybe a little flat, but benefits from a naturalist perspective not unlike Bee Movie (without the nightmarish legal plot and interspecies attraction) and more evolved critique of Victorian attitudes than The Greatest Showman thought to muster. 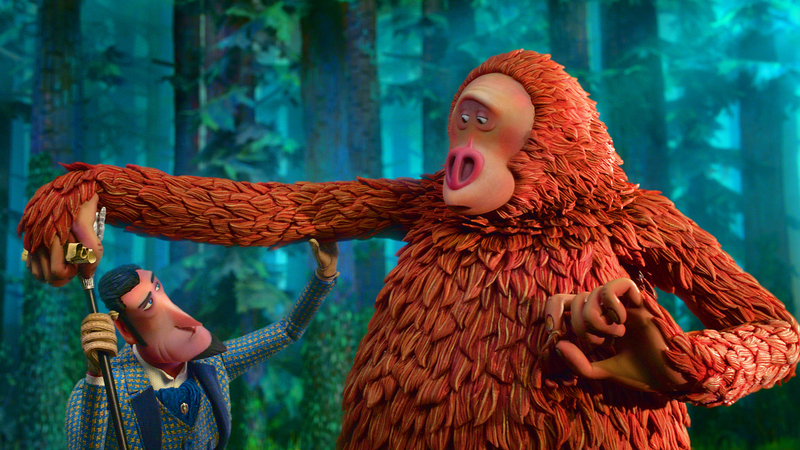 Affably animated and generally good-natured, Missing Link is worth a Sasqwatch even if it’s not one of a kind.